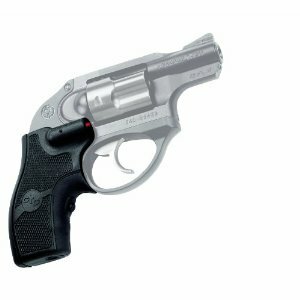 Lurking Rhythmically: Crimson Trace Lasergrip for Ruger LCR, as reviewed by my 73 year old mother - Ponies. Pistols. Prepping. Nice review. I like that the perspective points out problems I never would have considered. Like the definitions of various terms and the need of diagrams. I'll agree that not including the right little tools can be a real pain. The dry fire thing's also a real good point. And is handy for practice. Good to see that I was able to use my powers for good, and that the laser arrived. I bet Crimson Trace has never had their products reviewed by a grandmother before, and you raise some valid points they might want to consider in the future. In general, I would wager the instructions/etc. are geared towards people with more operating knowledge of the firearm, and if you bring this to their attention, they might consider rephrasing it. Great review! Link incoming tomorrow morning. Perceived recoil is one of those bizarre sciences that doesn't always add up the right way. Jay got a set of VZ Micarta grips for his Snubbie from Hell, and I assumed the hard composite grips would make the gun feel WORSE on recoil. Nope, it felt BETTER. 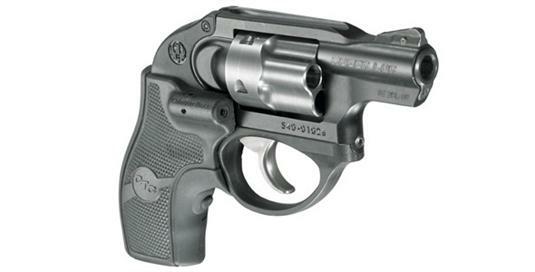 My best guess is that harder grips allow for a firmer hold of the gun, so less "Bucking" in the hand on recoil. Be interesting to see how they compare to your Mom and you. And this is exactly why I tell the anti-laser bigots they're being idiots. It's a useful tool, for many things. Training, those with physical difficulties, shooting quickly in the dark... Purists be damned. Warning labels on weapon-mounted lasers ARE pretty funny. If that laser beam is getting near somebody's eyes there is a bigger safety issue than the laser beam. If you Mom can afford it, she might consider buying a .22 LR LCR. That way she can practice with soft-shooting .22 ammo and not worry about the recoil. That was pretty much my opinion and why I didn't put the stickers on my pistol. I assume they are there for product liability purposes and nothing else. It's not so much a general flinch as it is the long and strong Double Action Only trigger of the LCR. She's been practicing with it, though, and strengthening her hand. The laser will just provide immediate feedback of whether her technique is good or not. I sent Iain an email, but I don't think he'll see it until Monday.